Palmetto Propane, Fuels, & Ice supplies lubricants to keep your machinery working efficiently and smooth. We carry many grades and types, as well as quality greases, hydraulic and transmission fluids, and we can special order other lubricants you may require. 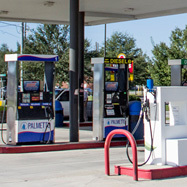 Palmetto Propane, Fuels, & Ice is dedicated to providing quality products to meet all our customers fuel supply needs. 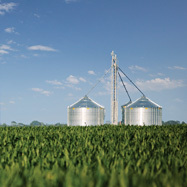 Nearly 900,000 farms in the United States use propane, and with good reason. Farmers can depend on propane to cost effectively and responsibly run their operations both in and out of the field. In climate-controlled chicken houses and green houses, reliable space heat is critical to maintaining the health and productivity of chickens and plants in colder months. As farmers and growers seek more efficient farming practices, there is an increased need for more energy efficient and cost-effective heaters. 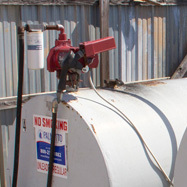 Palmetto Propane provides complete fuel tank setups with tanks ranging from 150 gallons to larger commercial sizes, single- or double-wall, skid tanks for mobile construction trailers, and more. Palmetto Propane is a proud dealer of Tuthill’s Fill-Rite Meters. Built into every fuel transfer pump, chemical transfer pump and meter is over 50 years of experience - and the pride and workmanship associated with the moniker “Made in USA”. Tuthill uses only the most durable materials to insure long life and dependability. Fill-Rite and Sotera branded products deliver superior performance time and time again, regardless of the application or installation. Palmetto Propane is a Husky dealer. Husky Corporation produces high-quality nozzles, swivels, Safe-T-Breaks® and accessories for service station fuel delivery systems. 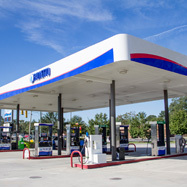 For more than 60 years, it has been on the cutting edge of developing and manufacturing products to ensure consumer and environmental safety at the gas pump. Its product line features nozzles for vapor recovery, conventional fueling, truck and high volume, farm and commercial, and convenience stores. The transfer of fuels is one of the foundational components keeping industry moving, growing, and creating jobs. 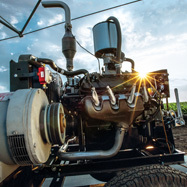 Tuthill is proud to meet the fuel transfer needs of the agricultural, construction, and transportation industries with our 100 percent Made in the USA Fill-Rite rotary vane pumps. The cast iron construction of a Fill-Rite fuel transfer pump is unparalleled in durability and is the quality standard in these industries. If your business revolves around work on a farm, construction site or in fleet service, odds are quite good that you rely every day on Fill-Rite pumps and meters to keep you moving. Cim-Tek® Filtration is the world-wide leader in filter technology for the petroleum, industrial, agricultural, and bio-fuel markets. Cim-Tek® designs filters for a wide spectrum of oils and fuels: gasoline, diesel, biofuels (biodiesel & ethanol), fuel oil, hydraulic and industrial fluids, gear oils and most synthetic fluids.